Have you ever bought rubbish sample hair ?? Have you ever bought good sample but rubbish hair when big order ?? Have you ever spent much money and time searching a reliable supplier?? You can stop at MRSHAIR ​. 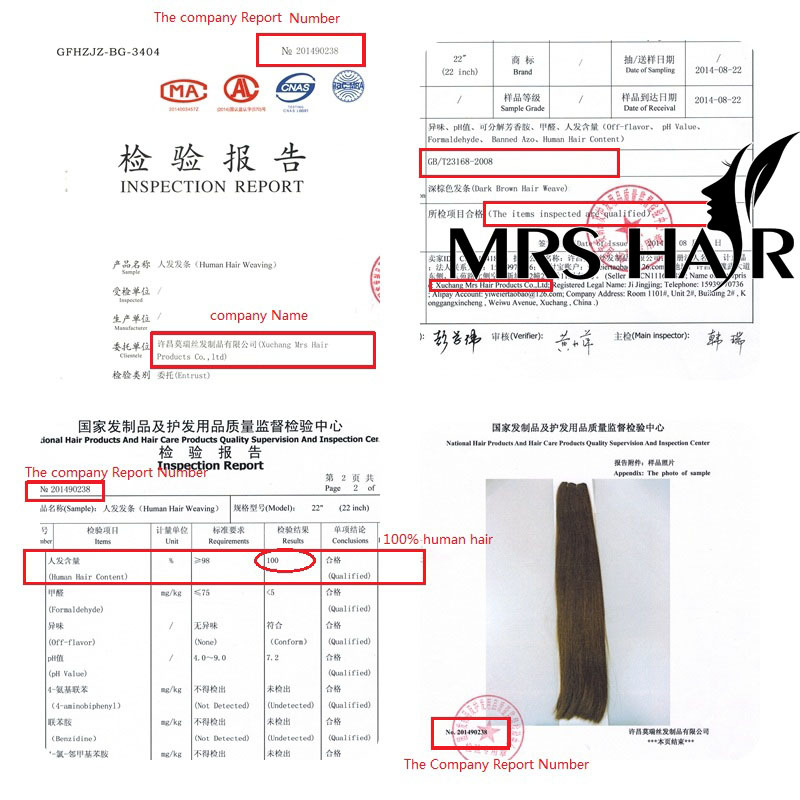 We are an honest hair extension company since 2006, our aim is Only supply high quality hair to customers , we never change mind . The cuticle are intact and aligned in one direction . Full thickness. Hair is thick from top to bottom. Color is pure, no black or yellow in blonde color . Can Choose Various colors number. Human hair that collected from multiple sources or Donors. Color is not very pure compared with Remy Series and Premium Series. Best Seller because of Standard Quality and Cheaper Price. Human hair that collected from one source or Donor, 100% Remy. Used for Hair Wigs, Closure, Men Toupees, Braids. High Qualiy Synthetic Hair Fiber. Used for Party, Holiday Season,Daily Change Style. We guarantee all of our Remy hair is 100% human remy hair without mixing any synthetic fiber, animal hair or bad quality human hair. We guarantee that we always supply the exact quality hair you ask, or keep same quality always as your samples or our supplied samples. We promise that we always do HONEST business, NEVER get any business by any fraudulent .